The last time Baptist Messenger featured a story on Ian Davis (May 31, 2012), he was a sophomore at Oklahoma State University (OSU) and a member of the Cowboys golf team. Since then, he contributed to OSU claiming the national runner-up title in the 2014 NCAA Championship and turned pro last May. Winning the Colorado Open in July was a highlight of his young professional career. In the fall, Davis went through Qualifying School for the opportunity to advance to the Web.com tour, a developmental tour for the PGA. Davis advanced through the first two tournaments of Q-School, but he did not make it to the final, so his plans now are to play in the Latin American Tour in Peru this spring. As the son of a Southern Baptist minister and being a faithful Christian, Davis has a strong support group. 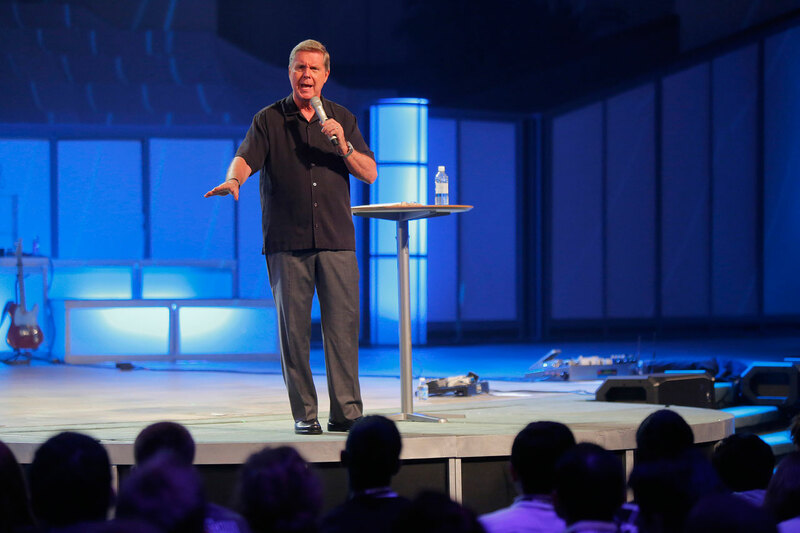 His father, Randy Davis who is the adult pastor at Oklahoma City, Quail Springs, stays in regular contact with him while he is away competing. Ian said he gets encouragement from his friends Karsten and Draegen Majors and Michael Allen who help him be accountable to his Christian faith. “We are a close group and call each other and talk about life,” he said. One of Davis’ experiences of sharing his faith happened during his final year of college. He befriended Sam Lee who is from Fiji and came to OSU to play golf, as he was inspired by current pro golfer and OSU alum Ricky Fowler. Sam did not make the golf team immediately. Though he enrolled at OSU, he played at a public course in Stillwater and kept in contact with then-OSU Golf Coach Mike McGraw. By his second year, McGraw allowed Sam to walk-on, and Sam actually competed in one tournament that year. 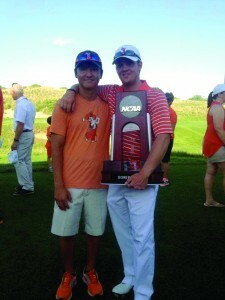 Davis got to know Sam as a new teammate and would invite him to attend Collegiate Golf Fellowship Bible studies. Sam was open to the Gospel and would ask Davis questions. During Winter Break 2013, Davis invited Sam to spend Christmas with his family. Sam received a Bible as a Christmas present from the Davis family and talked more with Ian and his dad about what it meant to be a Christian. On Christmas Day, 2013, Sam Lee accepted Christ as his Lord and Savior. Davis tries to keep in touch with Sam who is now playing professionally in Fiji and in the Australian Tour. Another way Davis is sharing his faith is through a publication that is being distributed during three major sporting events occurring in the Phoenix, Ariz. area. The NFL Pro Bowl, the Phoenix Open Golf Tournament and the Super Bowl all happen within an eight-day span. Tim Knopps of Timothy Institute of Evangelism is working with Arizona Baptists to distribute 250,000 copies of witnessing literature while these three events are happening. Davis is on the cover of the pocket magazine titled AzEndgame.com, and the 16-page publication features his story. Here is an excerpt from Davis’ story in the magazine: “‘I want to thank my Lord and Savior Jesus Christ for getting me through the day,’ Ian said is a prayer he often verbalizes to fans and media. And he prays for peace on the golf course. Though Davis will not be competing in the Phoenix Open, it may be possible he could have a greater impact than winning this PGA event. Earning a crown in Heaven has more lasting value over gaining a green jacket in Augusta.